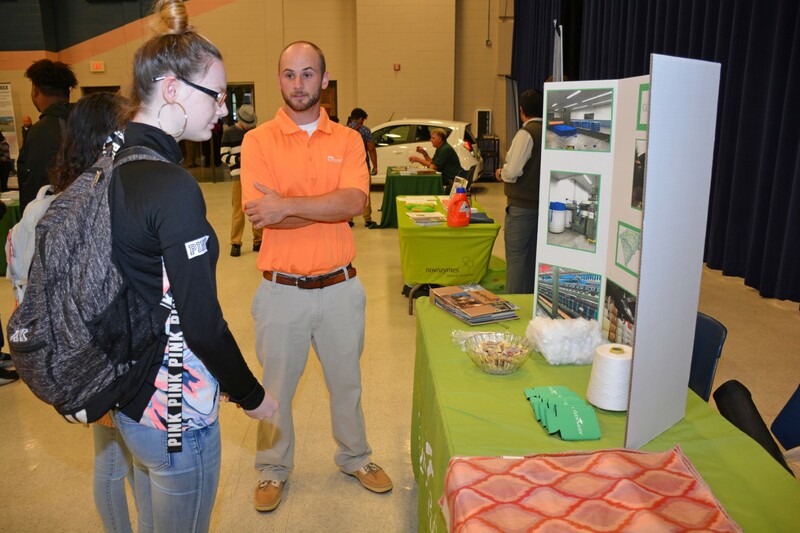 Vance-Granville Community College held a “Manufacturing Day” celebration on Friday, Oct. 7, in the Civic Center on the college’s Main Campus in Vance County. An estimated 275 middle and high school students from Franklin, Granville, Vance and Warren counties attended, along with VGCC students and other members of the community. They learned about how manufacturing has changed, local career possibilities in the field and options for education and training related to careers in the industry. 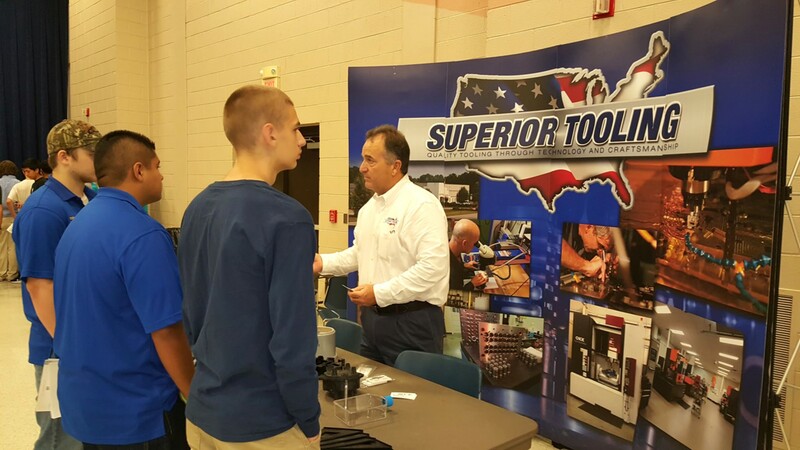 The event was one of many Manufacturing Day celebrations held across the country that day. Participating employers included Altec of Creedmoor, Asteelflash of Raleigh, Delhaize America/Food Lion Distribution Center of Butner, Dill Air Controls Products of Oxford, Eaton of Youngsville, Glen Raven of Norlina, Ideal Fastener of Oxford, Mars Petcare of Henderson, Novozymes of Franklinton, Plastic Ingenuity of Oxford, Revlon of Oxford, Shalag of Oxford, Staffmark of Henderson, Stay Online of Creedmoor, Sunrock of Butner, Superior Tooling of Wake Forest, TFS of Wake Forest and Universal Forest Products of Franklinton. VGCC technical programs were also represented, including Air Conditioning, Heating & Refrigeration Technology, Automotive Systems Technology, Bioprocess Technology, Electronics Engineering Technology, Mechatronics Engineering Technology and Welding Technology. The Trade Adjustment Assistance Community College and Career Training (TAACCCT) grant program at VGCC organized Manufacturing Day, with support from the Advanced Manufacturing Skills Training Alliance (AMSTA), a partnership of VGCC and local K-12 school systems. With the help of the $1.75 million TAACCCT grant, the largest single competitive grant in VGCC history, the college has developed and enhanced innovative training programs for advanced manufacturing careers. The TAACCCT grants are part of a nearly $2 billion initiative of the U.S. Department of Labor to expand targeted training programs for unemployed workers, especially those impacted by foreign trade. For more information on TAACCCT, call (252) 738-3342.